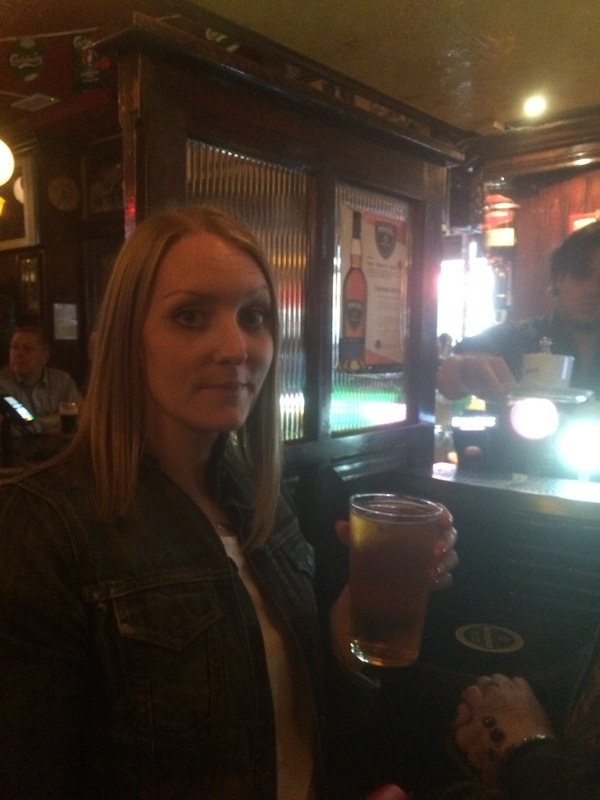 This week I treated myself to a little Irish adventure. Accompanied by Mum and sister I paid Dublin a flying visit. So, what did 3 Scottish ‘girls’ get up to on the emerald isle? Give me a minute and i’ll tell you all about it. 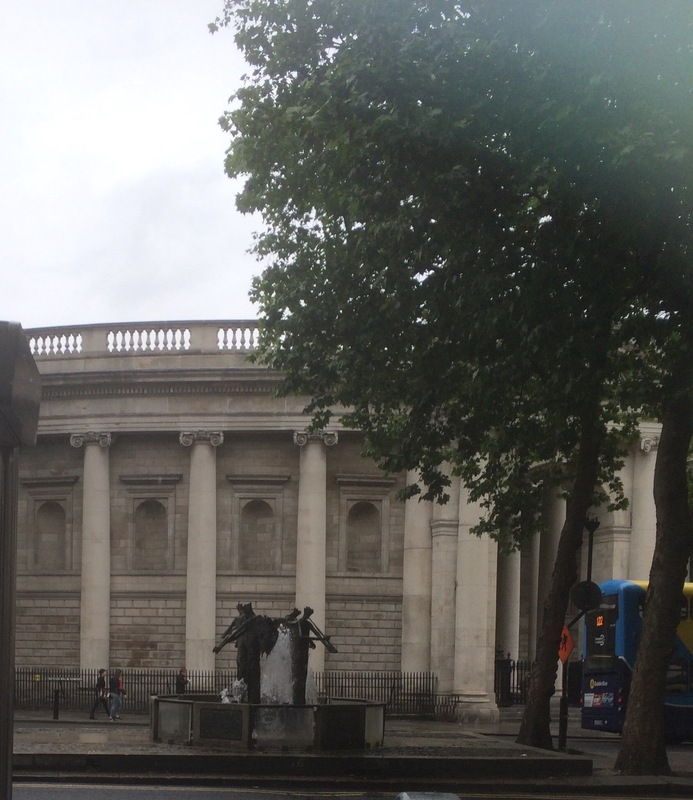 First stop was of course the GPO on O’Connell St. The building itself is impressive, it’s history even more so. 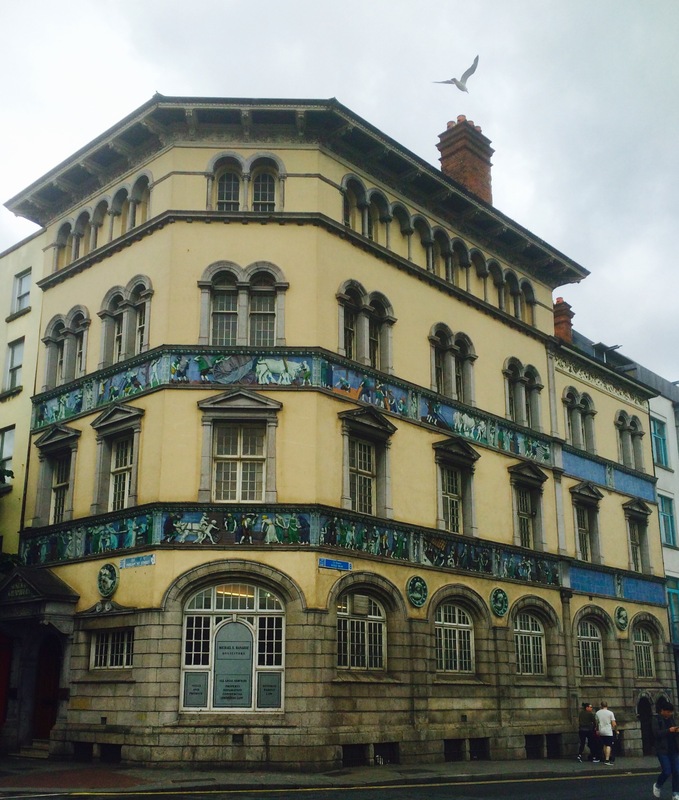 The beautiful structure that housed the birth of modern Ireland still bears the bullet holes. I failed completely to get any decent pictures of the landmark due the sheer volume of people attempting to do the very same thing. In lieu of that I offer you a glimpse of the attractive clock the GPO is adorned with. A few feet from the historic landmark stands the Monument of Light (An Tur Solais). 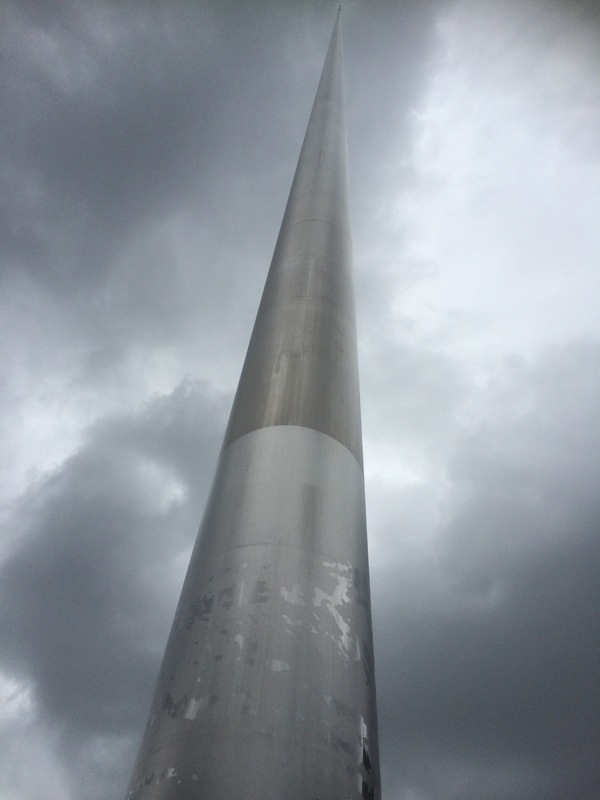 The stainless steel sculpture is 398ft high & believe me, it’s an arresting sight. If you stand directly below it up look up, which is exactly what I did, it appears to go on forever. I’m a fan of the juxtaposition of traditional architecture & striking modern art. 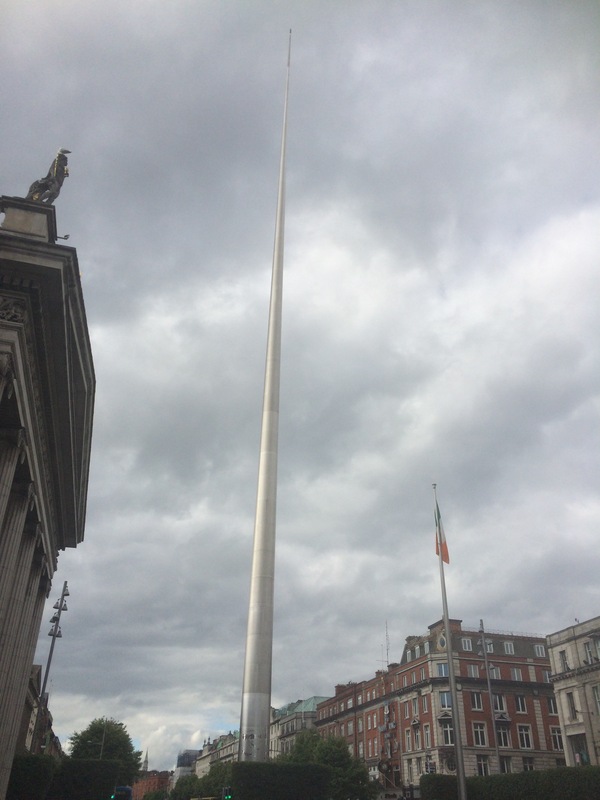 I highly recommend admiring Dublin’s Spire from the cover of the GPO’s pillared frontage. Next we cruised through Georgian Dublin on our way to Trinity College. 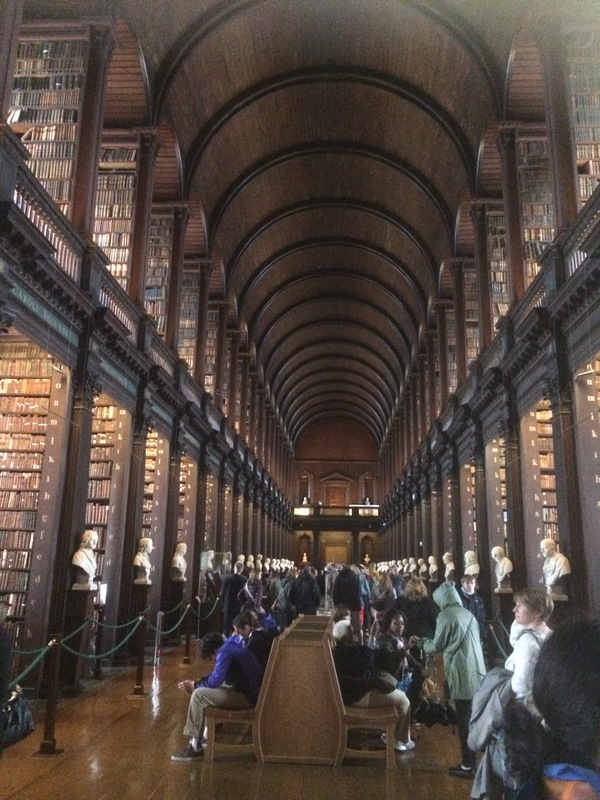 I have long admired the library at trinity. The prospect of floor to ceiling tomes tickled my book loving fancy. 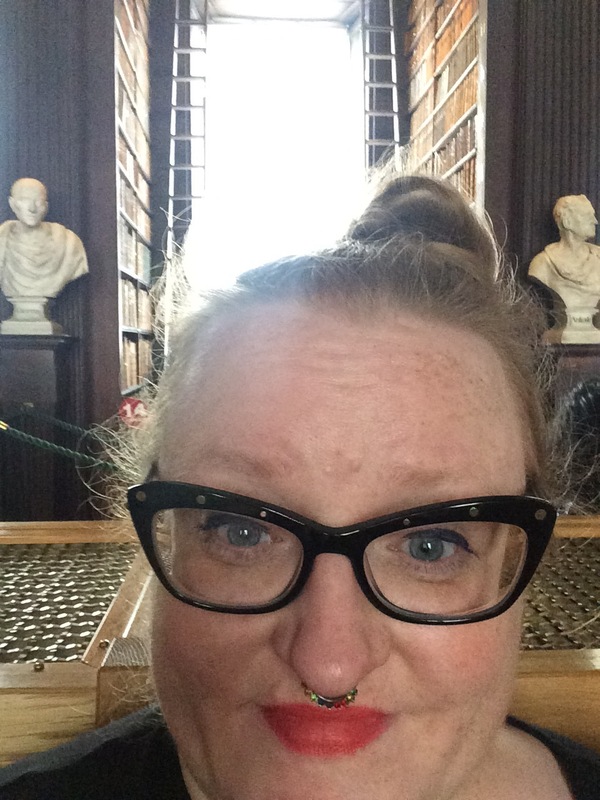 The Longroom is that rare gem that exceeds expectations. I was in awe from my first step into the room. 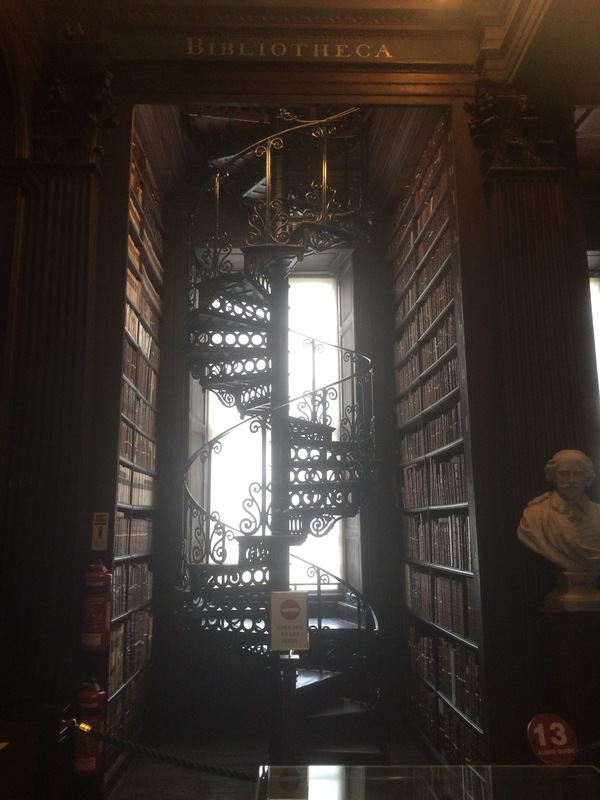 The steep spiral staircases, dark shiny wood, Latin & that unmistakeable book smell were intoxicating. I had found my spiritual home. If it weren’t for all the annoying tourists I would have been in heaven. 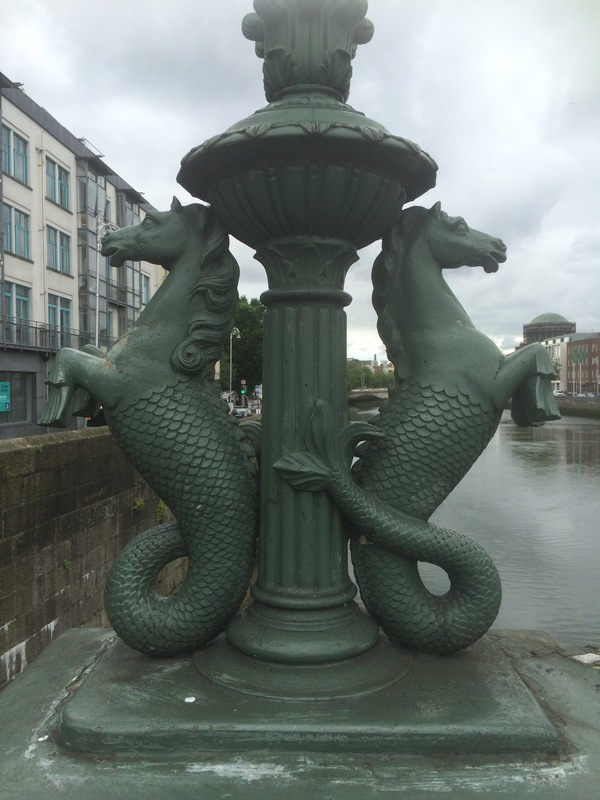 Dublin is packed with grand buildings, cool fountains & pretty things that catch your eye. 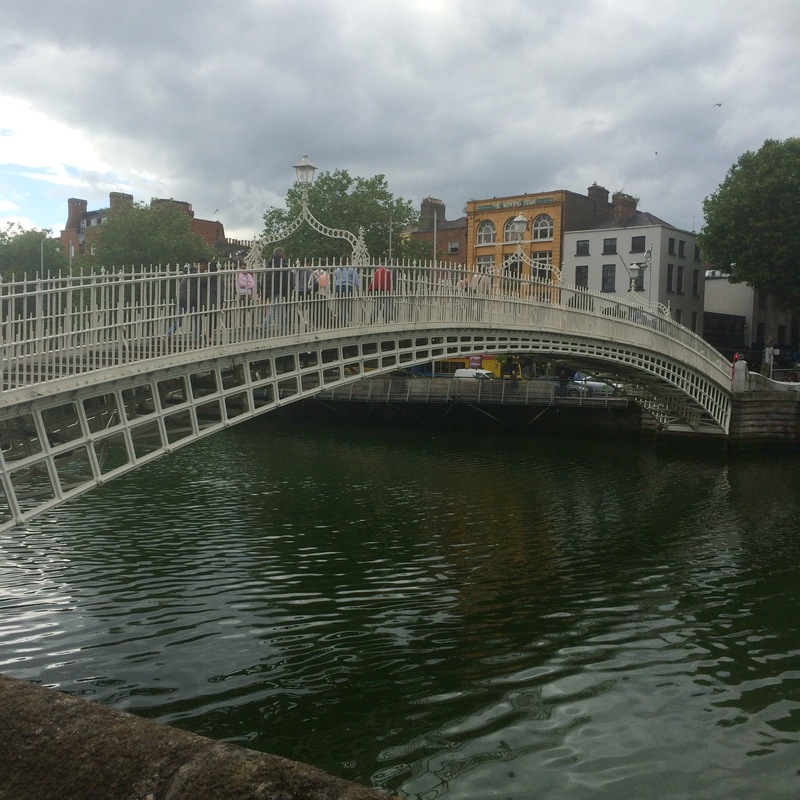 The Irish charm flows across the Liffey with an array of bridges. Be they an 80million state of the art construct or the iconic ha’penny bridge. My personal favourite was adorned with horse mermaids. Yes, I said horse mermaids. Mum really wanted to visit St Patrick’s cathedral & we of course obliged her. 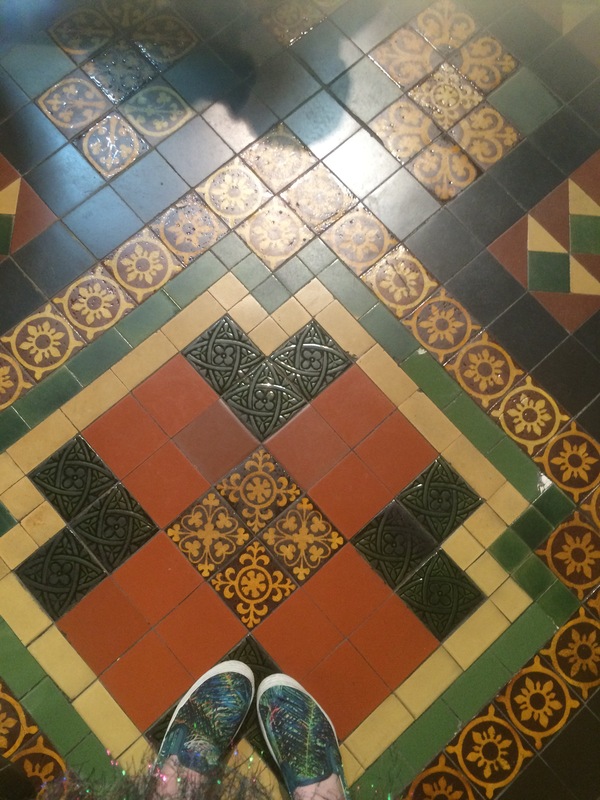 I’ve never caught religion so allowed my Lauren to join her on the tour whilst I admired the floor in the gift shop. 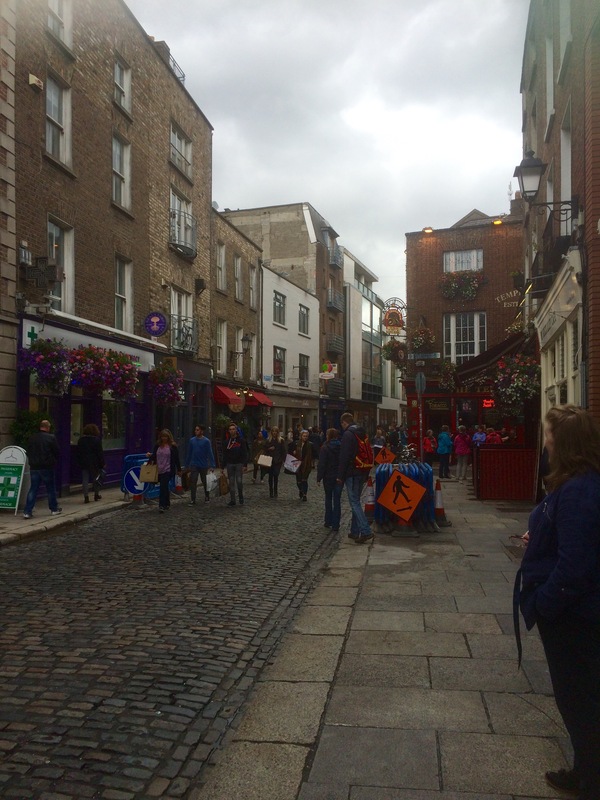 From St Patrick’s we strolled past the Christ Church & headed to perhaps Dublin’s most famous spot, Temple Bar. 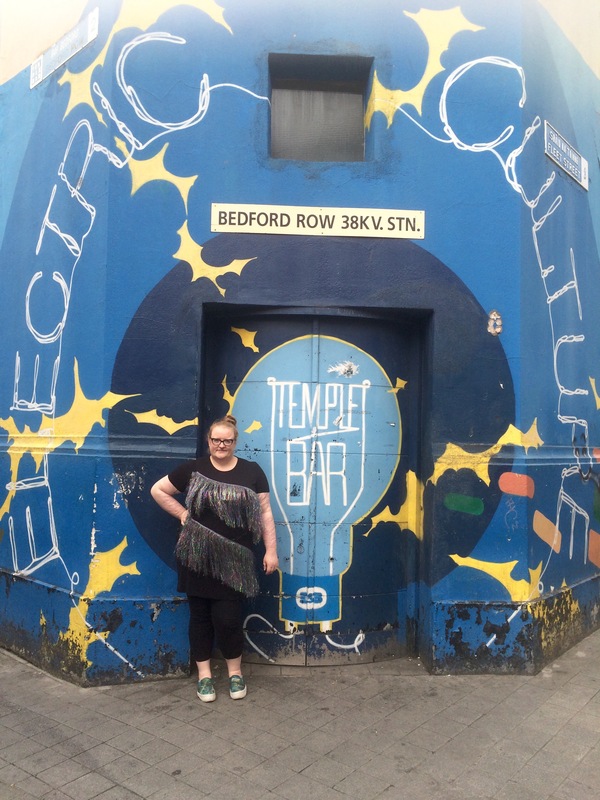 Temple Bar is exactly as you would expect it to be; vibrant & cool. 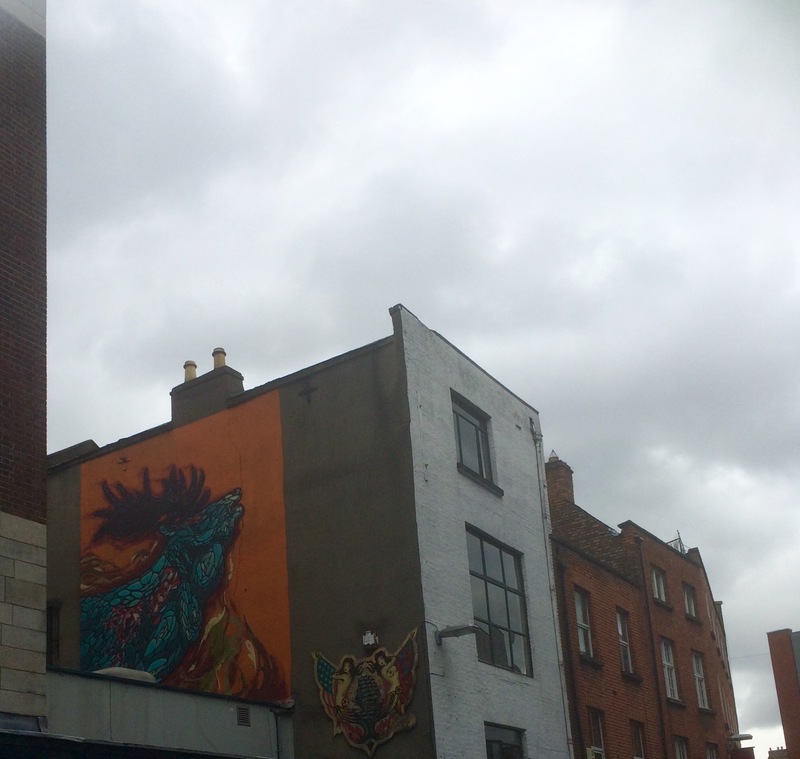 The streets are packed with street art, funky eateries & of course lots of pubs. 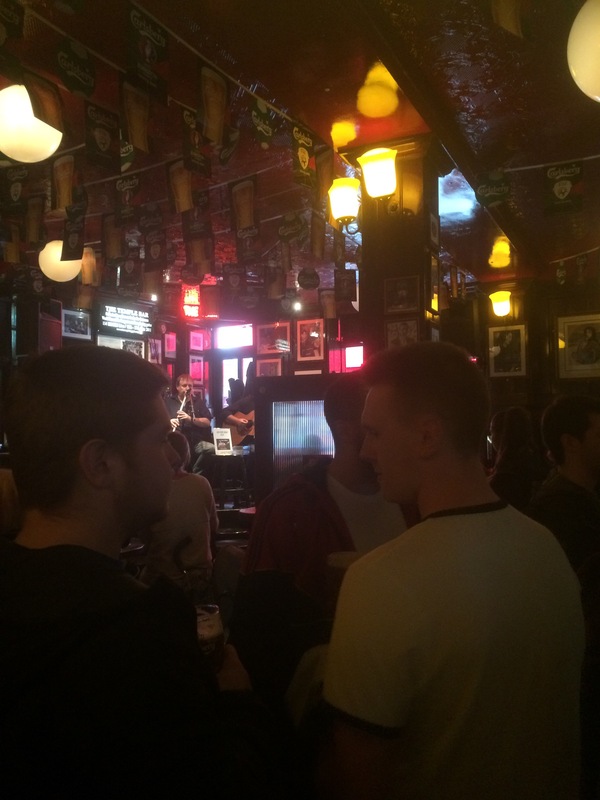 Mum was lured into THE Temple Bar by the strains of live music. 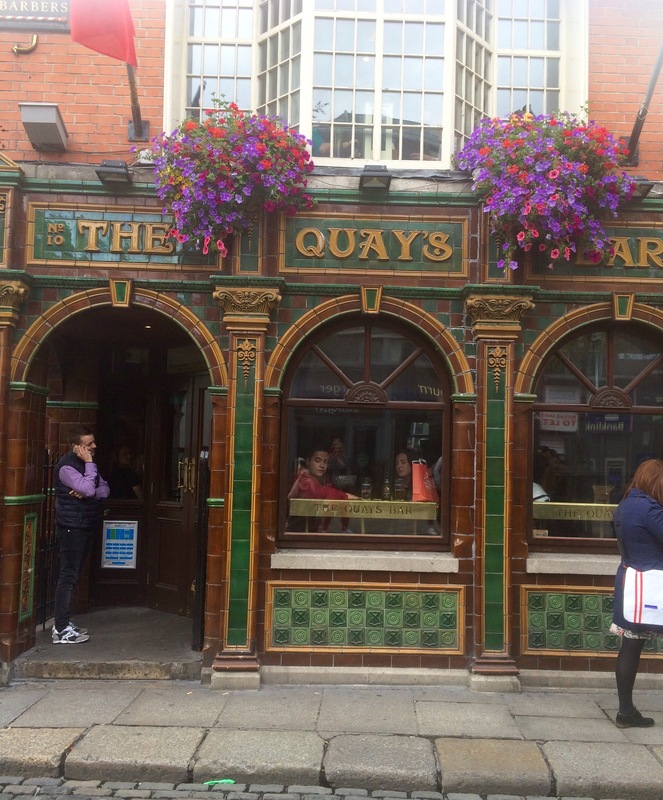 Dublin pubs are much like its people; friendly & boisterous. 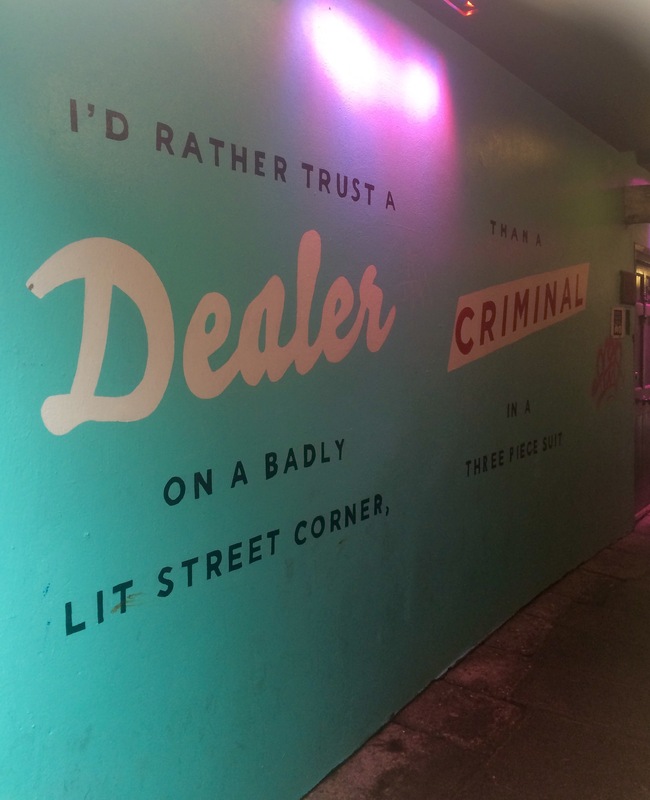 The Temple Bar was no different. The place was packed & the music (Wild Rover & other familiar tunes) was loud. 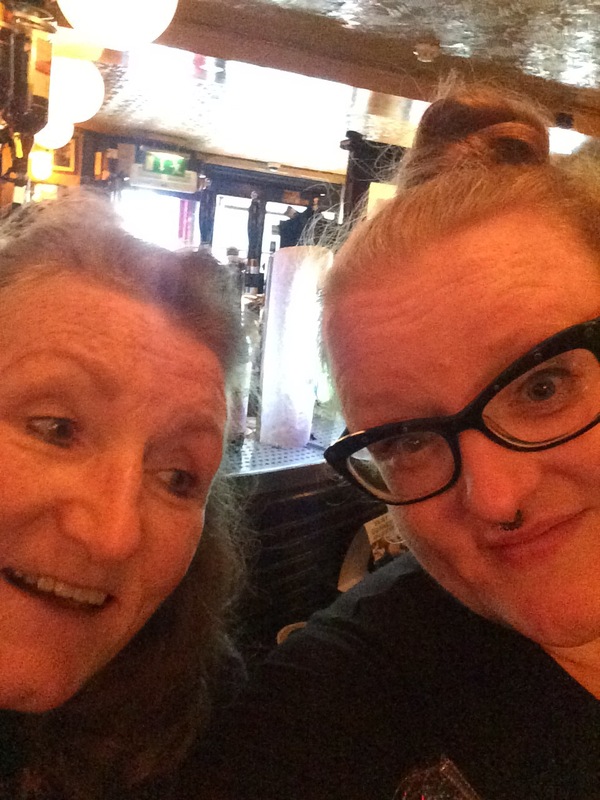 It also afforded me the rare opportunity of taking a pub selfie with my tee total mum. Dublin was a joy. It was just what I needed to perk me up. Watch out Ireland, I’ll be back. Next > ‘Cos every inch of you is perfect…. It was my first time in Ireland, which is crazy considering how close it is. Loved Dublin can’t wait to go back for longer.